Syria’s current offensive to recapture Daraa province from anti-regime rebels is giving Israel cause for concern. Syrian President Bashar al-Assad began sending reinforcements to southwestern Syria in mid-May in a bid to stamp out the last embers of the rebellion there. On June 19, the Syrian army, assisted by Russian airpower, Iranian advisers, Hezbollah ground troops and Shi’a militias, launched its long-awaited operation. On July 6, the Syrian government and rebels reached a truce under which the latter will relinquish territory and heavy weapons. Not surprisingly, Syria hailed the ceasefire as a victory. The Syrian push into Daraa was part of a concerted strategy to retake territory seized by rebel groups since the outbreak of the civil war in 2011. This conflict, the worst in the region since the 1980-1988 Iran-Iraq War, has resulted in the deaths of approximately 400,000 Syrian soldiers and civilians and in the displacement of millions of Syrians. 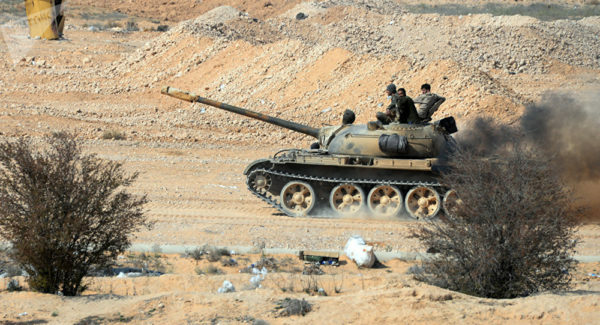 The Syrians and their allies are operating in an area close to the Israeli and Jordanian borders. 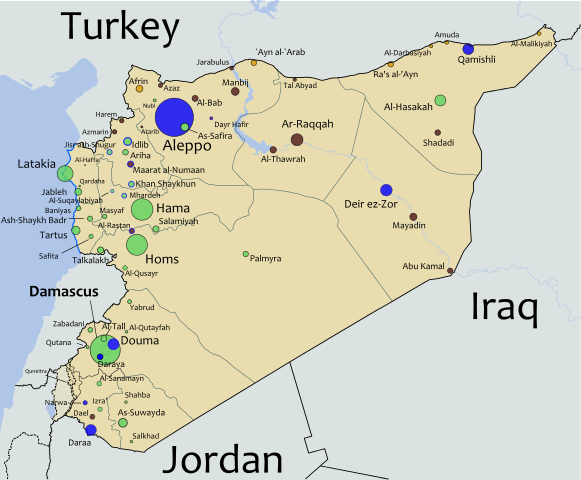 This is where the Syrian civil war began and where a de-escalation zone was established last year under an accord reached by the United States, Russia and Jordan. As a result of Syria’s drive into Daraa, 330,000 civilians have fled from their homes and about 11,000 Syrians have ended up in tent encampments in the demilitarized zone, which was established in the wake of the 1973 Yom Kippur War. Syria violated the de-escalation agreement by pushing into Daraa. The Trump administration had threatened to take “firm and appropriate measures.” But so far, the United States, with 2,200 troops in Syria to fight Islamic State, has remained passive. Presumably, U.S. President Donald Trump will address this issue when he meets Russian President Vladimir Putin in Helsinki on July 16. Trump’s national security adviser, John Bolton, has disclosed that he will demand the withdrawal of Iranian advisors and troops from Syria. Unlike the United States, Israel has not watched developments passively. 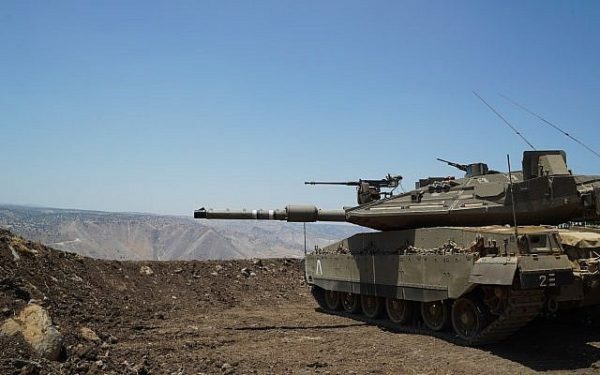 Israel has significantly reinforced its tank and artillery units on the Golan Heights, which it has occupied since the 1967 Six Day War and which it annexed in 1981. The Israeli Chief of Staff, General Gadi Eisenkot, and the chairman of the U.S. Joint Chiefs of Staff, Gen. Joseph Dunford, conferred in Washington to discuss events in Syria and Iran’s attempt to entrench itself militarily there. Israel has extended substantive humanitarian help to Syrian refugees, providing tons of food, water, medications, tents and clothing. 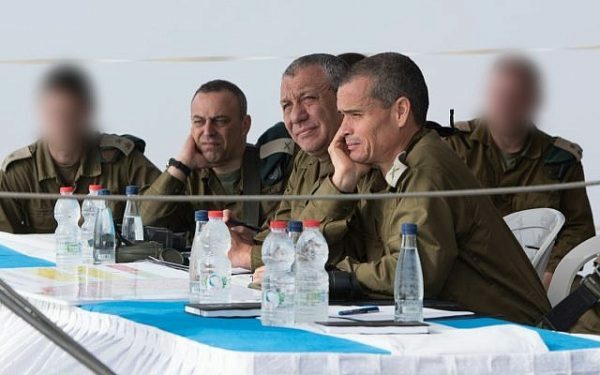 And in a warning to Assad, Netanyahu said that Israel will demand that the 1974 Separation of Forces Agreement with Syria will be “strictly upheld.” Israeli Defence Minister Avigdor Liberman reportedly called his Russian counterpart, Sergei Shoigu, to reiterate that point. According to reports, Israel has resigned itself to a restoration of Syrian sovereignty in Daraa. But Israel insists that the Syrian army must stay out of the demilitarized zone and that Shi’a militias, Hezbollah and Iran should be barred from southern Syria. On July 11, Israeli Prime Minister Benjamin Netanyahu is scheduled to discuss these pressing issues with Putin in Moscow. It will be his second trip to Russia in two months. Russia has called for the departure of foreign forces from Syria. But on July 4, Russian Foreign Minister Sergei Lavrov said it would be “absolutely unrealistic” to expect Iran, given its interests in Syria, to withdraw completely from Syrian territory. In a monograph written for the The Washington Institute several days ago, Hanin Ghaddar and Phillip Smyth cast doubt on the proposition that Iran will pull out of Syria. “As for the notion that Assad will push Iran out after achieving victory, the return of his forces to the south means just the opposite … In a major step toward fulfilling Tehran’s long-term goals, the presence of Syrian forces would serve as a conduit for Hezbollah and other militias to quietly redeploy in the south anytime they like, without having to deal with opposition pockets. “Therefore, to avoid escalation in south Syria, Assad’s forces should not be allowed to reoccupy the area after the battle for Deraa, and Russian forces should not be trusted to act as guarantors of Iranian withdrawal. The only guaranteed way of keeping Iran out of the south and far from the Golan and Jordan would be a third-party buffer zone along Syria’s southern borders.